Is baby #2 (or 3 or 4) already on your mind? 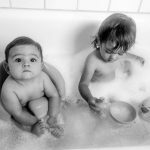 If it’s already in your belly, chances are you have probably repeatedly been asked: “So, how is so and so feeling about being a big sister? Is she excited?” And for the 20 millionth time you’re probably like: “Well she’s too little to understand”. If you have felt this way, but you also know that somehow, in some way, babies do feel what is going on, in spite of not understanding, you are right. There are ways to enhance this experience for your toddler! I want you to know, that even if you clearly can not explain this stage to your child, you most certainly could help prepare her some way. With that in mind, I have decided to share the following list. 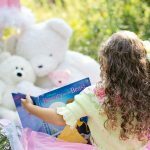 In this post, I have provided tips in order to help facilitate your toddler’s anticipation on what they will experience upon having a new sibling home! This is one of the first things that occurred to me and I remember feeling like the only mom on the planet to think of this. I even felt like my idea was silly when I asked other moms in my mom group. I went ahead and looked up “toddler meets newborn”, and “2 yr. old meets sibling”. 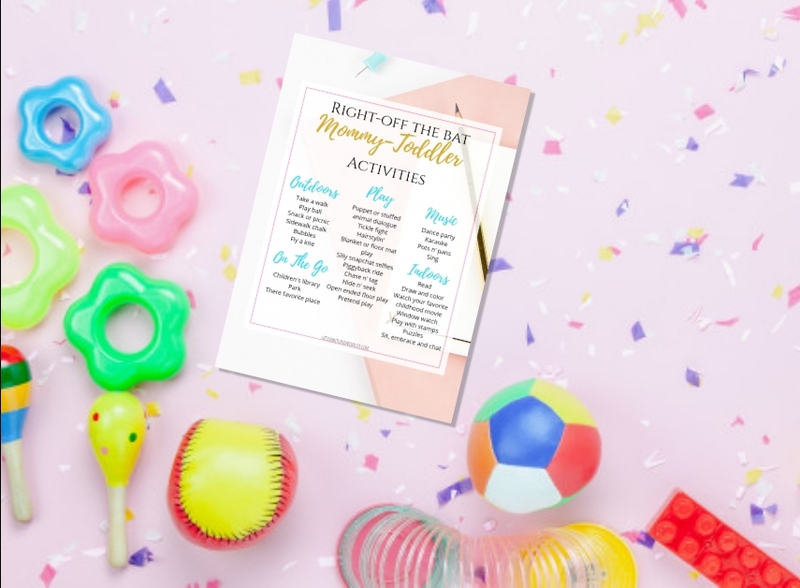 You can get creative and incorporate something your child loves or has! For example my daughter is fascinated by animals and we have a German Shepard of our own, so I would include that as well and search “dog meets baby”. These videos thrilled Daniela and had a very important role in preparing her for her own experience. If you read books to your child, you know how engaging it is to do so. Age-appropriate books are excellent conversation starters. And with the right picture books, you and your child will spark right into discussion on a variety of baby topics! A special baby doll is a great tool for hands on experience and engages them in the activities, such as holding, caring, playing, feeding, etc. Playing with your child is one more great way to involve her and discuss what you are doing. To this day, of all the toys that Daniela has, her baby doll is what she carries around the most and I am amused to watch her imitate what I do! Welcoming a new family member is a huge transition in itself for anyone. 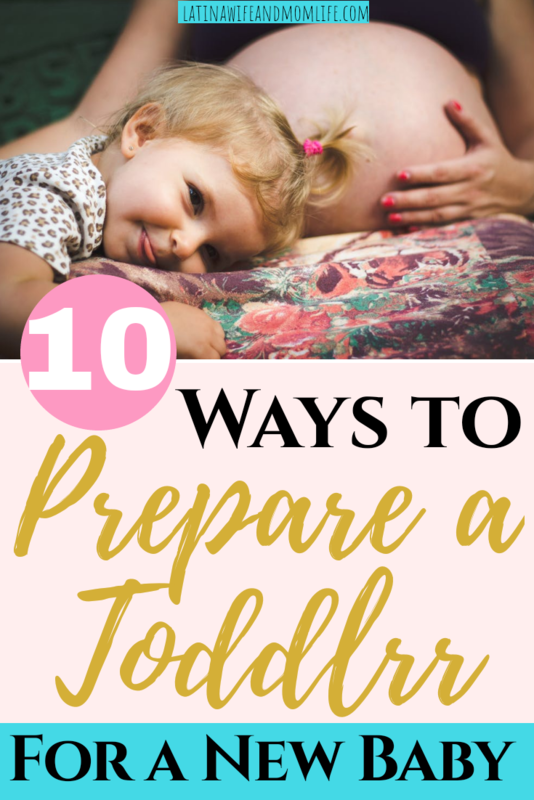 You do not want to make things any more challenging for your toddler by not being prepared beforehand. 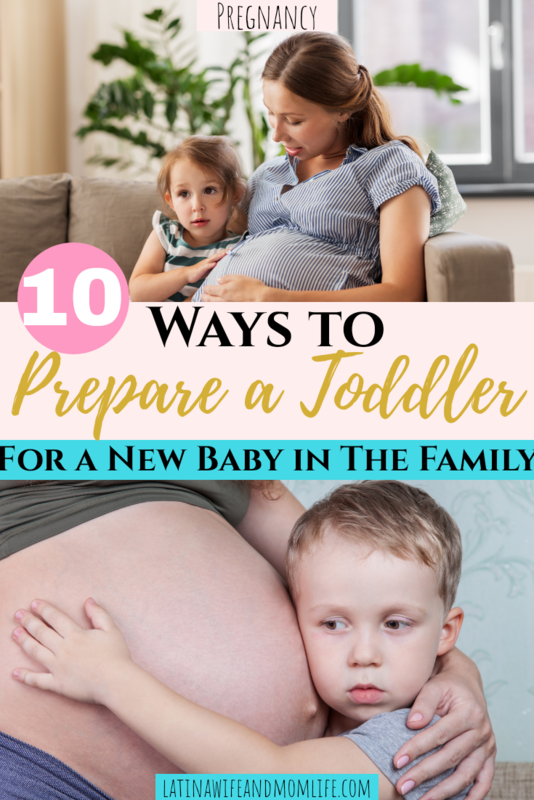 So if your child is, for example, potty training or transitioning from the crib to the toddler bed, make sure that is taken care of prior to baby’s arrival so that he/she has been given enough time to make these new routines into habits. 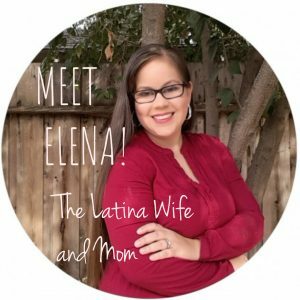 Upon having my first, I became a stay at home mom. That meant my child has been only with me and never cared for by someone else. That would clearly not be an option upon having baby Jose, so we had to plan ahead of time and engage her as much as we could with her godparents, who would be having her while I was in the hospital. That way all of us did everything in our power to make her as comfortable as possible. 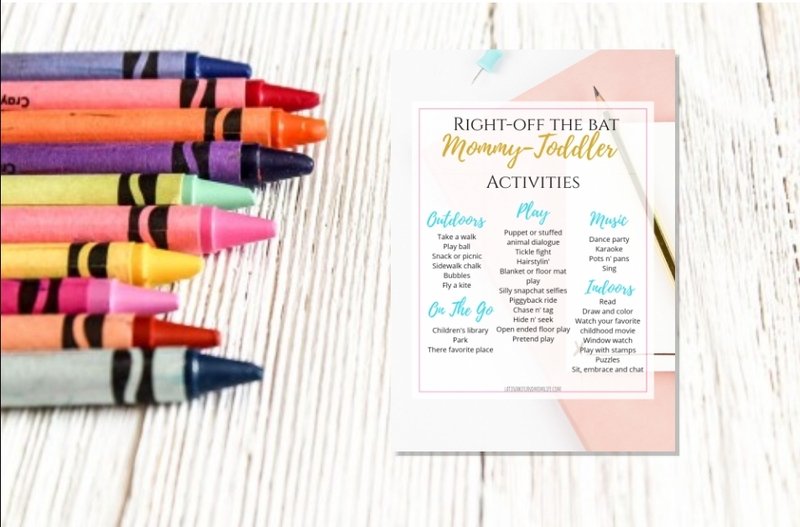 I love this one the most and I think it is super fun, for my toddler as much as for me! I call my daughter Niely and while going through her photos I would literally say something like: “That’s Niely. Niely is a baby”. You can do what works for you as well as discuss what is going on in the photo, so that your child is aware that they too had those experiences, therefore providing them with that extra sense of importance. You can even show them pictures of when you were pregnant! 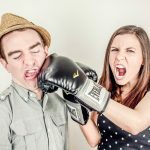 Children under 2 will not understand the concept of brother, sister, new baby, etc. But let him/her hear you talk about it, have him/her sit with you as you read to the baby, let your child watch you/your partner embrace your belly and talk to the baby. Your child most certainly will not understand your excitement, but he/she can definitely share the feeling! Nabor and I did all of the above mentioned in the ‘Get excited’ part and emphasized it so much that Daniela would randomly come lift up my blouse and say Tóto? (For Josesito, aka Jose). And every time I mentioned him, she would touch my belly. She was familiar with this by the time I took her to all of my ultrasounds. Each time we went, I showed her ‘Tóto’ and she would react as she contemplated what she saw on the screen. My ultimate favorite! There are babies left and right, and I loved watching my daughter be given the chance to get close to one when she could. Being around other babies thrilled her to no end! If you have friends with infants or if you can just go to family oriented places, go for it! Give your child the ultimate experience of actually engaging with other babies as much as possible! Remember to NOT make it all about the baby ALL the time! Because it’s not. At least for your child. Don’t forget that now, more than ever, is the time to cultivate you and your child’s relationship. Don’t forget that your child needs reassurance that they are still loved and how important they are. Don’t forget to keep them involved in the things you do for the baby (shopping, decor, etc.). Don’t forget to stay flexible to your child, remembering that every child is different and things work in different ways for different people. Don’t forget to be patient with your child, I know it’s highly difficult and exhausting, but, in the name of motherhood, be patient! And remember the most important thing, enjoy every moment of this exciting time! As a woman, I am sure nothing could have prepared you for what it was going to be like to have children upon having your first baby. Remember that when helping your own child prepare for this because, just like you, there is absolutely nothing that will make him truly know what to expect. And finally, assuming you are reading this in preparation for your newest addition, Congratulations!